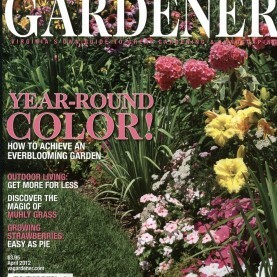 As a designer, horticulturist, photographer, and author, Vicki O’Neal relishes in sharing her extensive talents, knowledge, expertise, and passion. With a keen photographic eye and skill as a writer, she captures and conveys her unique perspective while bringing thought-provoking images and narrative to life. 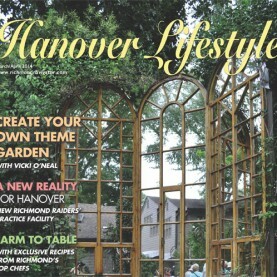 She finds inspiration in the ordinary as well as the extraordinary, in her own backyard as well as around the globe. 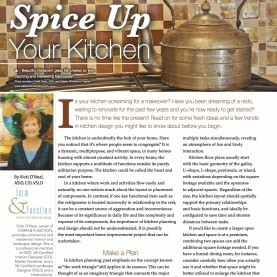 Dozens of Vicki’s articles have been published in local and regional magazines, many featuring her own projects and/or photos. Her writing style is clear, informative, and entertaining. Photographic, design, and travel editorial services available. 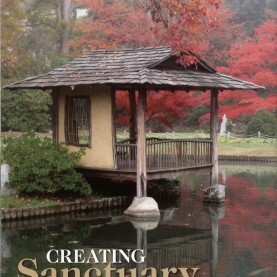 Step into the sanctuary you can create right in your own back yard! 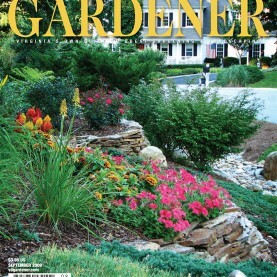 Enticing Entrances Virginia Gardener cover story! Transform your environment into a memorial theme garden! 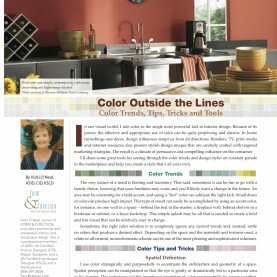 Read on for expert advise on color selection! 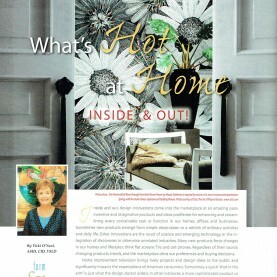 What's Hot − Inside and Out! 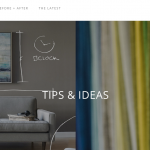 What's Hot design trends for the inside and outside of your home! 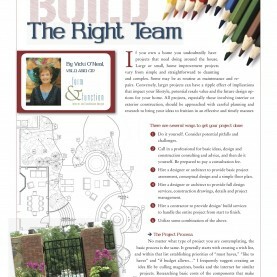 Contractors and contracting, questions answered!